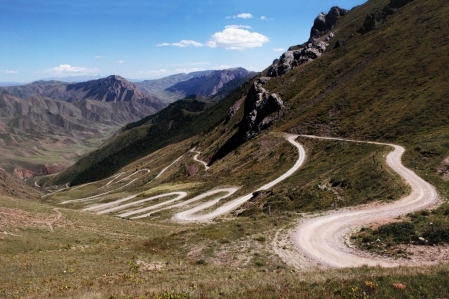 The Terskey Torpok Ashuu pass (3,132 m) is one of four passes that lead up to the Son-Kul Lake. The Son-Kul is a Lake at about 3,016 meters above sea level. Each of the individual passes has its own characteristics and has magnificent panoramic views. 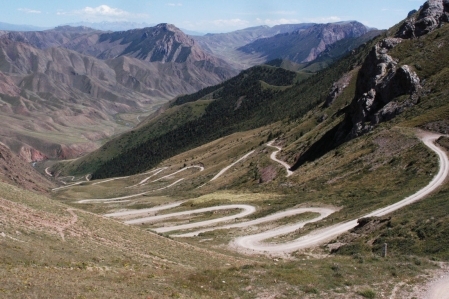 The other passes are the Kalmak-Ashuu pass (3,446 m), Kara-Keche Ashuu pass (3,384 m) and Moldo Ashuu pass (3,346 m). If you drive over the Terskey Torpok Ashuu pass down so you will be rewarded after about 10km with the Jonbulak Ashuu pass (3,018 m). 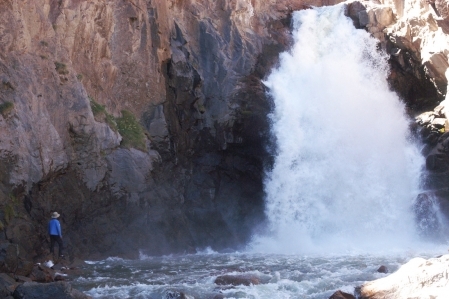 When you shut down from the Pass you should definitely stop by the river and the slightly more rearward waterfall admire.